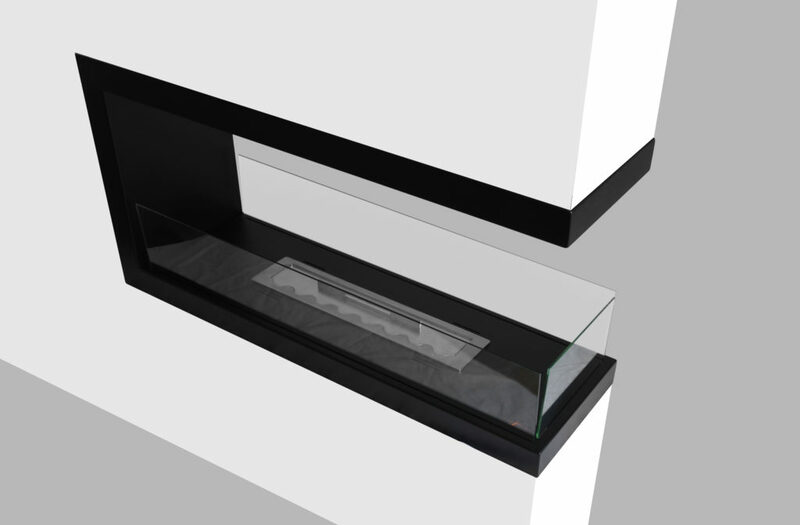 INSIDE U 1000.1 model is a fireplace prepared for assembling in a prepared recess. It is the most developed version of all models available for building-up. 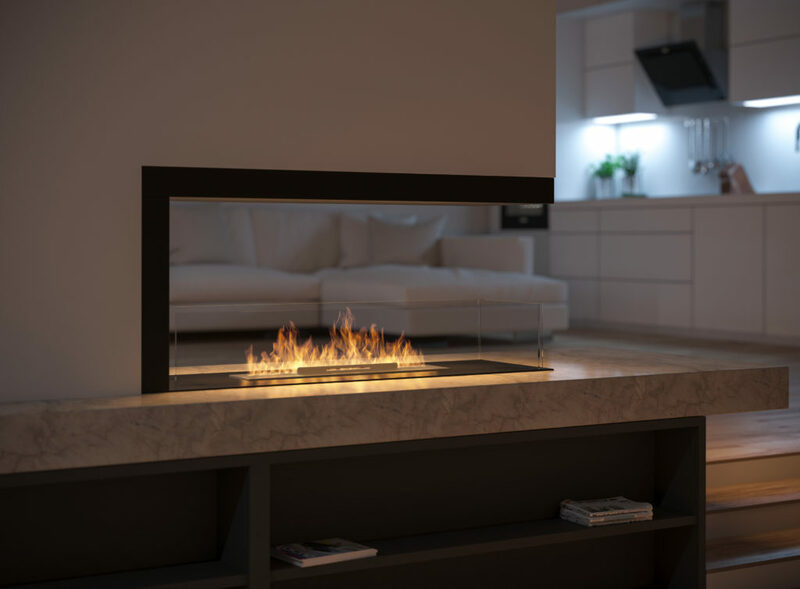 The frame of the fireplace is equipped with a bleeding system that prevents pressure formation under the burner in the event of fuel overflow. In the frame there are also 3 panes which are slid into special rails what allows for hiding all fixing. 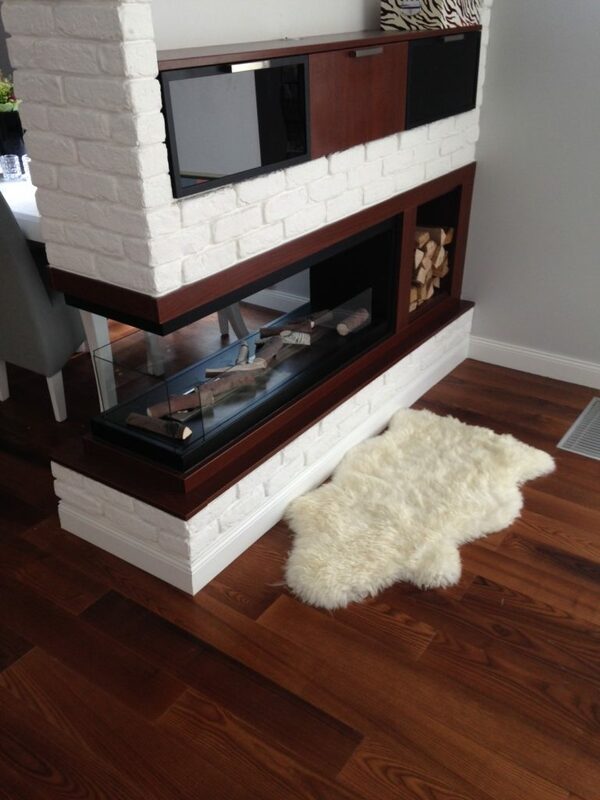 The fireplace frame also has a built-in insulation which allows for its safe assembly in, e.g. MDF or gypsum plasterboard. 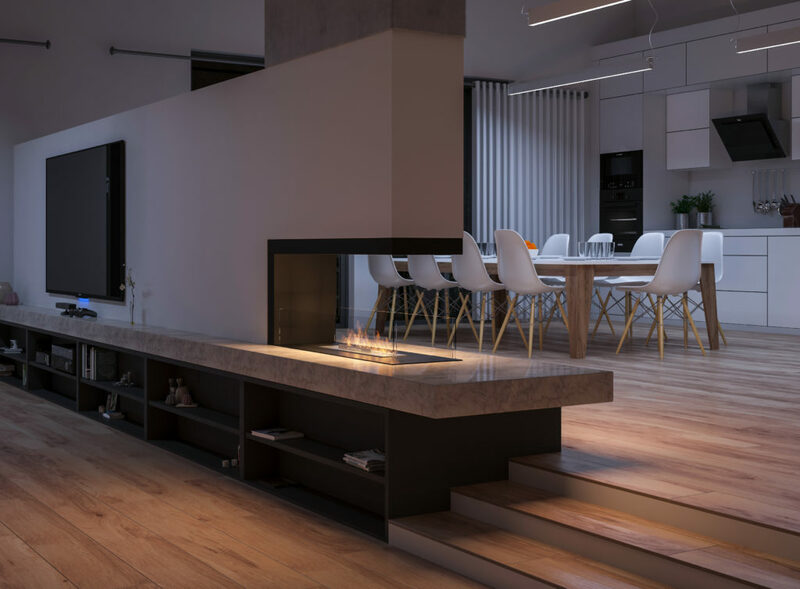 The fireplace may be a beautiful and effective connector between two rooms.